comEXEShell.RunCommandLine "Administrator", "123456", "C:\pdf2vec.exe C:\test.pdf C:\test.swf"
How to solve "SE_TCB_NAME held" error? The Windows User Manager window appears. 3. Select the check box labeled Show Advanced User Rights. 4. In the drop list labeled Right, select Act as a part of the operating system. 6. In the Add User and Groups dialog box, ensure that the drop list labeled List Names From displays the correct domain or machine name for the account to be added. 7. Click the Show Users button. 8. In the Names list box, select the user account to be added. 9. Click the Add button. The user name now is listed in the Add Names list box. 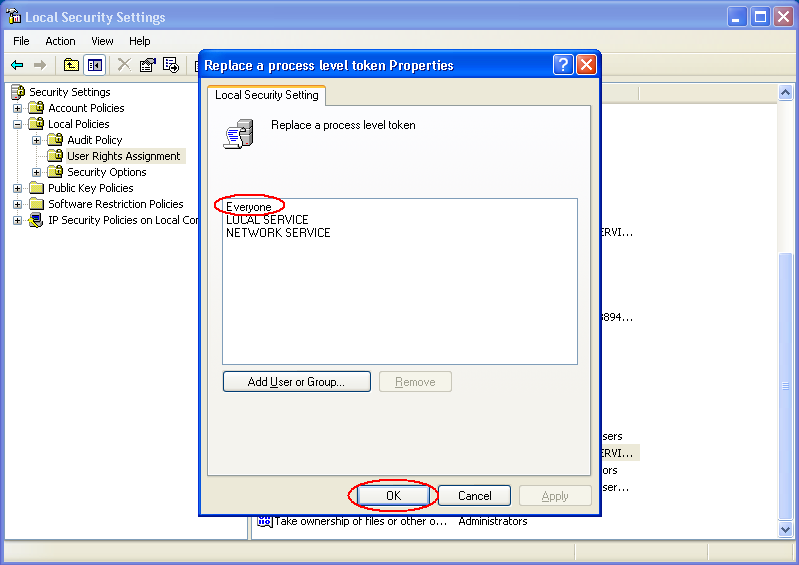 SE_TCB_NAME is named "Run as part of operating system" in the GUI. 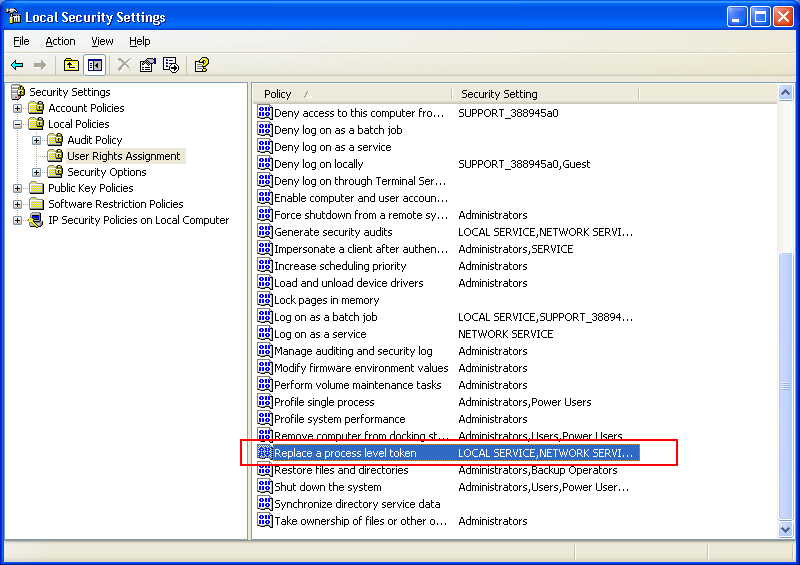 LSrunas can be used to run a command using another user account and passing the password as a parameter. This is a big improvement over the standard runas tool which is not able to accept a password. LSrunas can be used in scripts. CmdAsUser.exe - start a command as a specified user. CmdAsUser.exe command line is a freeware. CmdAsUser.exe test . /p 123 /c "C:\Program Files\docPrintPro v4.5\doc2pdf.exe" -i htttp://www.verypdf.com -o "C:\out.pdf"
Use RunAs utility to execute a program from command line using a different user account. RunAs is command line utility that can be used to run a program under different user account. RunAs command line is a freeware. 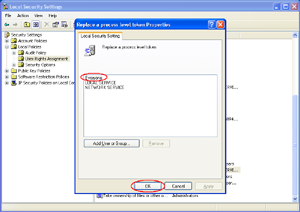 It accepts password as a command line parameter so that it can be used in batch files. It can bind started process to the interactive user Desktop so it can be used to start interactive processes from various services. program name Name of the program file to launch. If the name includes spaces enclose the entire name in double quotes. parameters Optional command line parameters that you want to pass to the program. Run RunAs.exe without parameters from the DOS command prompt to see full description of the supported parameters. dim strCmd = """C:\VeryPDF\htmltopdf.exe"" C:\Test\in.html C:\Test\out.pdf"